Bsnl has introduced an unlimited voice calling pack priced at Rs. 39, offering customers unlimited local and STD voice calls, including national roaming to BSNL prepaid customers. The closest to this will be the Jio Rs. 52 recharge, which also offers free calls and SMSs as well as bundled data. 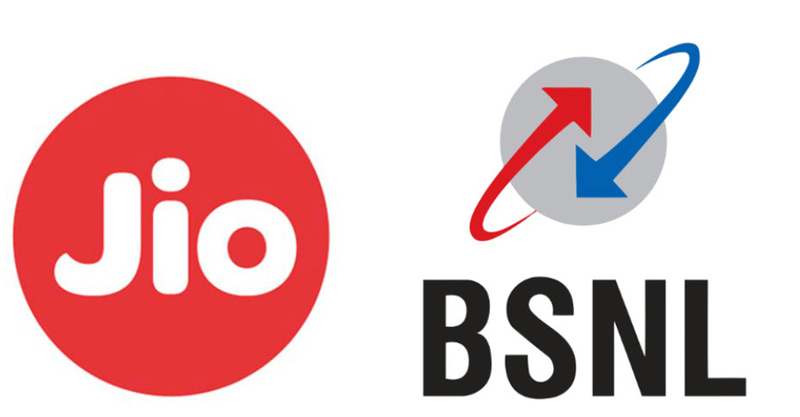 Also, while Jio is getting ready to launch its Jio Fiber fixed-line broadband services soon, BSNL is revamping its fibre broadband (FTTH) offerings to take on the upcoming rival. BSNL has announced new plans, in which, it has doubled the FUP data for three of its FTTH plans at the same prices. However, the broadband plan benefits have currently been rolled out in the Kerala circle only and there is no information on a pan-India rollout. The BSNL Rs. 39 recharge is available across India, except Delhi and Mumbai). Alongside unlimited voice calling, it also comes with 100 free SMS messages and free PRBT (personalised ringback tunes), but there is no data offered under this plan. RK Mittal, Director (CM) BSNL Board informed about this special Tariff Voucher (STV) in a press statement. Notably, the plan comes with a validity of 10 days. It competes with the Rs. 52 Jio recharge – with validity of 7 days, it comes with 1.05GB bundled data at 150MB per day, unlimited local and STD calls, free roaming calls, 70 SMSes, and access to Jio apps. As mentioned, BSNL has also refreshed three fibre broadband plans, worth Rs. 1,045, Rs. 1,395, and Rs. 1,895 to offer more data, TelecomTalk reports. First up, is the BSNL Fibro BBG ULD 1045 CS48 plan that now offers 100GB of FUP data with download speeds of 30Mbps for Rs. 1,045 per month. Earlier, the plan came with 50GB of data. The updated plan still offers unlimited data to access the Internet, but after the FUP limit is exhausted the download speed will drop to 2Mbps. The second fibre broadband plan that BSNL has upgraded is the FIBro BBG ULD 1395 CS49. It now offers 150GB of FUP data per month at 40Mbps bandwidth speed. Previously, the plan came with 75GB of FUP data. This plan also offers unlimited data and the post FUP speed gets reduced to 2Mbps. The plan is priced at Rs. 1,395. Coming to the third offer, BSNL has revised the FIBro BBG ULD 1895 CS129 plan. This plan now offers 200GB of FUP data at 50Mbps bandwidth speed. The plan costs Rs. 1,895 as a monthly rental. Earlier, this plan offered data with 100GB FUP limit. Notably, all the prices are exclusive of taxes and service charges. The report also says that the BSNL plans also include voice over facility over FTTH which is available with minimum FMC commitment of Rs. 195 and above. The Fibro plan subscribers can avail one static IP address by paying an additional charge of Rs. 2,000. As mentioned, the plans are available only in select cities in Kerela, but BSNL is expected to unveil them in other areas as well. In comparison, Jio is said to be offering an “initial plan” to users that provides up to 1.1TB of data to users. The new plan being offered by Jio Fiber reportedly includes 100GB of free data per month at 100Mbps speed. Once this FUP is exhausted, customers can reportedly avail 40GB of free data in the form of top-ups, 25 times in a month – effectively obtaining 1,100GB or roughly 1.1TB of free data.